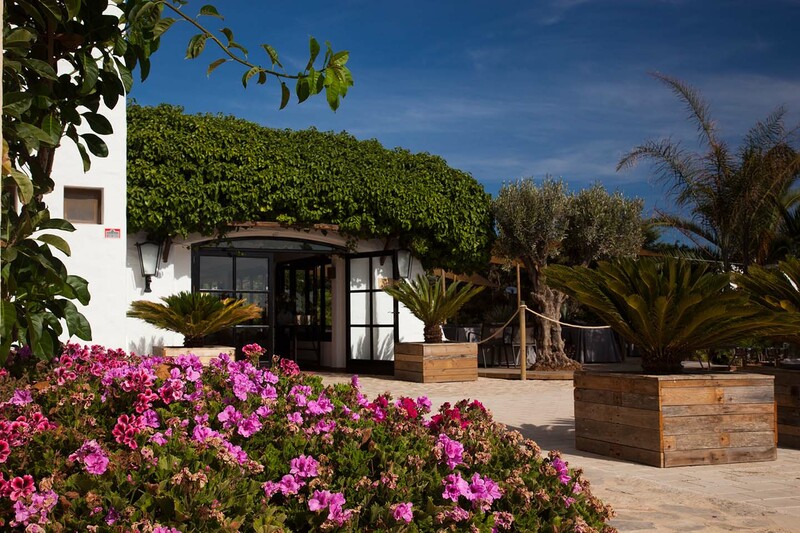 The port and fishing village of Puerto de La Savina – Formentera’s main point of arrival – is just 6 kilometres from Marlaca. To reach us, keep travelling south, crossing the island widthways. Not only will you be well rewarded on arrival at your final destination. The journey to Marlaca is equally gratifying, with its charm and beauty. When you reach the roundabout at the peaceful village of Sant Francesc, with its white houses and blue-shuttered windows, take the road to Cap de Barbaria. Some 500 metres later, you’ll come to a crossroads. Take the left turning toward Urbanización Paraíso de los Pinos along a narrow road, lined with signs. Marlaca stands out at the end of this road, like a tiny oasis in a Mediterranean setting, close by Playa de Migjorn beach.